Design Javier Mariscal. 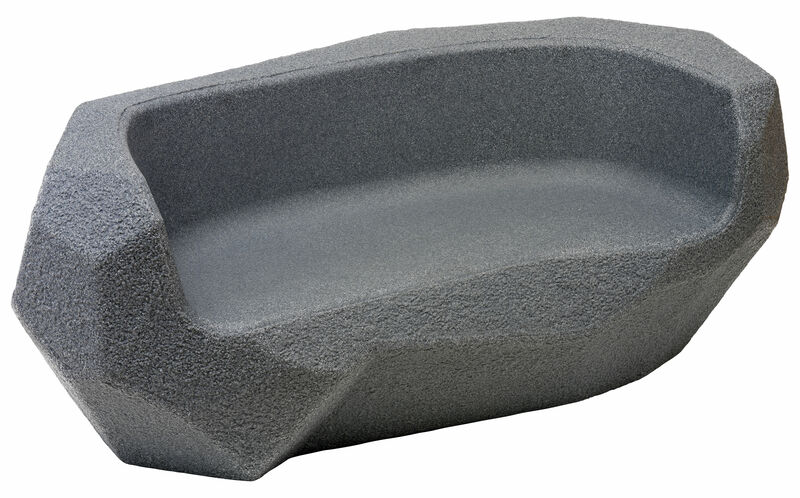 A family of rotational moulded polyethylene seats with a ''stone finish''. A project that was started in 2003 and that has now arrived at its conclusion. 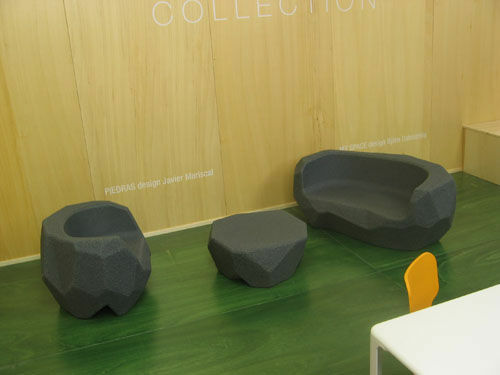 Piedras is the reproduction of a primitive seat from the times when humans used to sit on tree trunks and pieces of rock. It joins Pop, Julian, Trioli and Alma, all extremely contemporary chairs, and draws a connecting line between past and present, old and new, making the Me Too children curious to get to know Piedras.